Today especially, you need a variety of sources for financing your real estate deals. 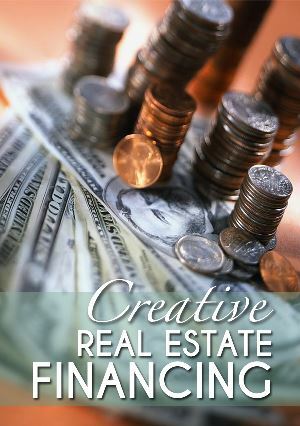 Our Creative Real Estate Financing Training will show you twenty different ways to structure financing as well as which way to use in what situations and why. Along the way, you will learn how to use banks, property owners, hard money lenders, & other investors to finance your deals. During this elite training, you’ll discover how to calculate return on investment (ROI) & return on equity (ROE) so you can determine how much your deal is producing from cash flow, appreciation, depreciation, interest writeoff, and principle reduction. This will help choose from a variety of strategies including buying, fixing & selling, renting, lease option, or assigning the contract to give you and your investors the best return.